My report on the ongoing merger of the Irish Equality Authority and Human Rights Commission has been published by the Policy Institute at Trinity College Dublin. 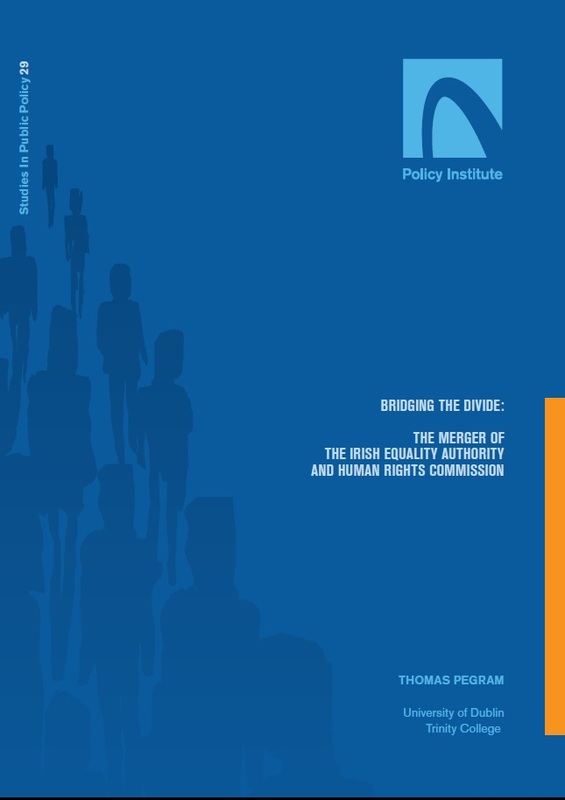 This policy report was prepared as part of a research project entitled ‘Bridging the Divide: Matters to be taken into account with respect to the integration of functions of national equality bodies and national human rights institutions in the European Union’, generously funded by the UK-based Nuffield Foundation and led by Neil Crowther and Colm O’Cinneide. This research offers an indepth contextual account of the merger process and is intended to contribute to public debate on the proposed Irish Human Rights and Equality Commission (IHREC). The research addresses the central question: how to merge two separate bodies into one agency without putting domestic equality and human rights in jeopardy. It evaluates the conduct of the merger process by Minister Alan Shatter and the viability of the proposed IHREC. Findings are based on extensive investigation and consultation with over 40 merger stakeholders in government, state bodies and civil society.